Size: 19 in. x 28 in. 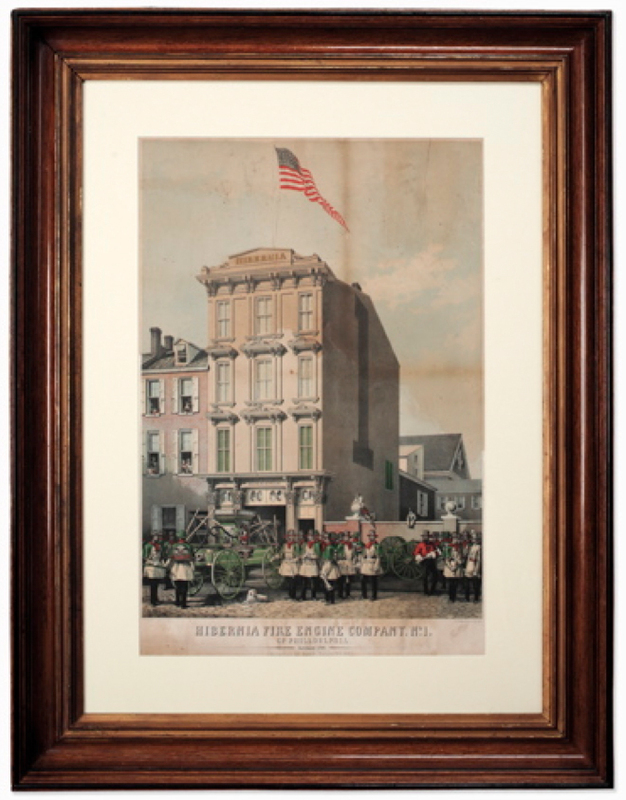 Description: Large colored lithograph showing the Hibernia Fire Engine Company in full parade dress. This 1857 lithograph has vibrant colors and is in very fine condition. This is a rare print of a Philadelphia fire company. The print appears in a document found in the Villanova University Library, Villanova, PA and reads as follows: “Hibernia Fire Engine Company No. 1. have caused this volume to be issued in remembrance of their visit to the cities of New York, Boston, Brooklyn, Charlestown and Newark, in November, 1858 ... and by their brother fireman on their return to the City of Philadelphia”.